Who gets to be a Founding Father? One question that has always interested me is the way historians and the popular culture decide who qualifies as a Founding Father, or to use the more politically correct term, American Founder. The pantheon of the "greats" is pretty well established: Washington, followed in most lists (in varying order) by Franklin, Jefferson, Madison, Adams and maybe Hamilton dragging up behind with his fatal stomach wound inflicted by Aaron Burr. Then there's the second tier: John Jay, Patrick Henry, Gouverneur Morris. And then there are some really major figures of the period who for some reason just are lost in public consciousness: the Rev. 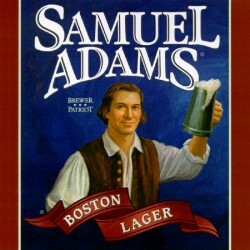 John Witherspoon, Fisher Ames, Josiah Bartlett, James Wilson, and perhaps most tragically, Samuel Adams, who has been reduced by modern marketing to the level of a beer brand. In recent years, in an attempt to be more inclusive of the contributions of women to our fair Republic, attempts have been made to cast Abigail Adams as a Founder -- which isn't all that bad an idea, I think. Her letters evidence that she was a delightful if difficult person, and certainly worthy of a spot in the American imagination for her contributions to understanding the American experiment. And Thomas Paine has been getting some of the recognition that he is so richly due. Are there any other neglected figures from the Founding Era who deserve more attention, more consideration as founders? I think so. 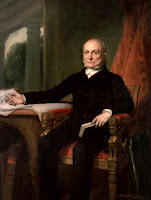 My thoughts on this point turn to another Adams, one who was just as successful as John, and perhaps more so: John Quincy Adams. President, member of the House of Representatives, abolitionist, diplomat. And it is in the last role that I wonder why he is usually excluded from consideration as a founder. While just a lad during the outbreak of the Revolution, he served as his father's aide in France. He also served as secretary to the American delegation to Russia. In other words, he was in important, if secondary, posts of public duty during the Revolution. He served in the Washington Administration in a diplomatic capacity, and served as Secretary of State under Monroe. So, he was alive during the right time period, he was working on behalf of the revolutionary cause, he had appointments in government after the revolution, and -- critically -- he won election to the presidency. So, why isn't he normally thought of as a Founding Father? 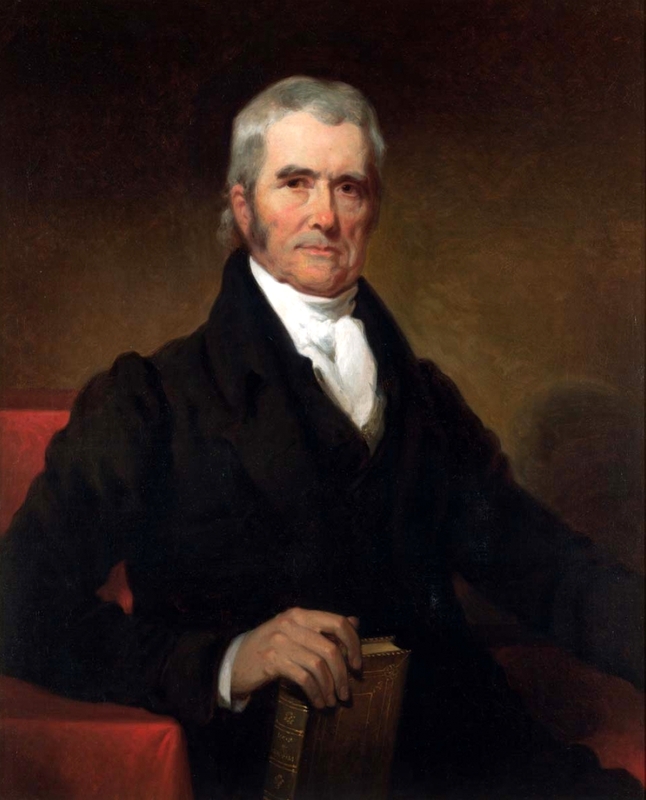 Here's another one for you: John Marshall. Marshall is best known for his tenure as chief justice of the Supreme Court, but he had a career before that. He was an officer in the Continental Army at Valley Forge, and he was a member of the Virginia legislature on several occasions. He was active in the fight to ratify the U.S. Constitution. He was John Adams's Secretary of State. In terms of his significant contribution to American government, his tenure on the Supreme Court and his opinion in Marbury v. Madison rank him second only to George Washington in his impact on the practice of American government. He led the Supreme Court as it settled the vexing question of the authority of the Court in exercising judicial review on questions of constitutional importance. He defended the independence of the Court in the face of attacks from the political prances of government. So, why isn't he normally thought of as a Founding Father? 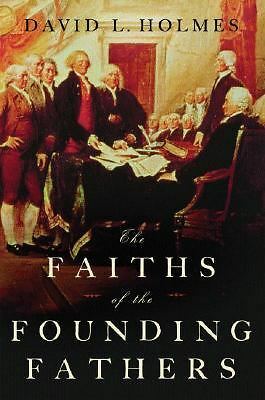 Awhile back I finished up reading David Holmes's excellent book Faiths of the Founding Fathers (Oxford University Press, 2006). I appreciate his balance and attention to detail throughout. He characterizes the major founders as falling into three basic patterns: orthodox Christians, Christian deists, and non-Christian deists. While Holmes’s division of the Founders into those broad theological categories has considerable merit, I think that his use of the term “deist” is a less than helpful choice to describe the theology of most of the Founders who weren’t orthodox Christians. Those folks, as Gregg Frazer has argued in his book The Religious Beliefs of America's Founders (University of Kansas, 2014), are best thought of as rationalistic theists. Most of them believed, for example, in a God who is active in human affairs, who is to be worshipped and prayed to, who will judge each and every person after death, etc. Even the least conventionally religious of the major founders, Benjamin Franklin and Thomas Jefferson, affirmed such a deity. This isn't a "watchmaker god" or some uninterested deity such as posited by the Roman writer Lucretius. While there is no question that many of the Founders eschewed orthodox trinitarianism, their conception of God remained theistic rather than deistic in its main points. To continue to refer to such Founders as deists risks confusion in the minds of modern folks, many if not most of whom do not realize that the theology of many of the Founders, even the least conventionally religious, was far more conservative than the term "deism" would indicate. 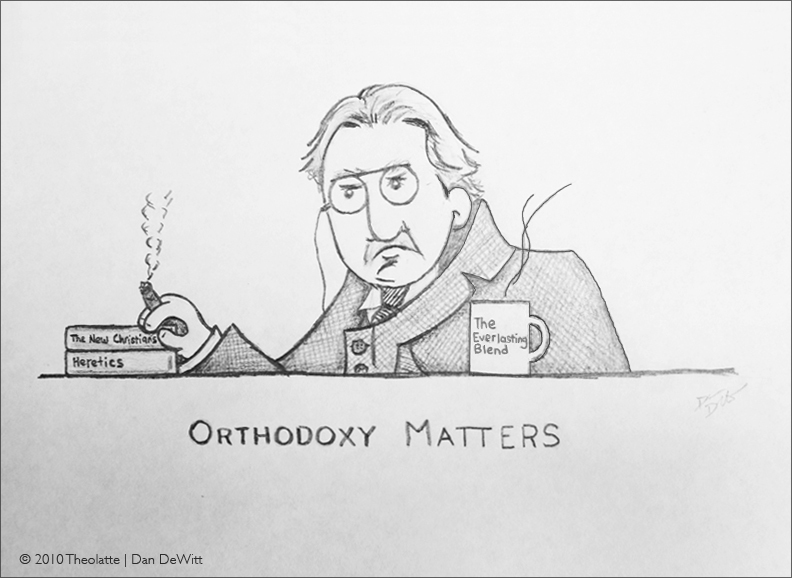 I think vital Religion has always suffer'd, when Orthodoxy is more regarded than Virtue. And the Scripture assures me, that at the last Day, we shall not be examined [on] what we thought, but what we did; and our Recommendation will not be that we said Lord, Lord, but that we did good to our Fellow Creatures. See Matth. 26. Franklin doesn't evidence a hostility for orthodoxy per se, simply orthodoxy that detracts from the cultivation of right conduct. 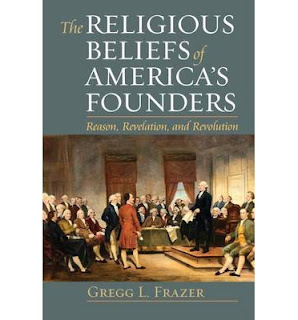 Works were at the center of true religion for Franklin -- not to exclusion of belief in God, but as the foundation for how to determine if that belief was authentic. And he cited to the Christian New Testament in support of his approach. That there is one God who made all things. That he governs the World by his Providence. That he ought to be worshipped by Adoration, Prayer and Thanksgiving. But that the most acceptable Service of God is doing good to Man. That the Soul is immortal. And that God will certainly reward Virtue and punish Vice either here or hereafter. Franklin's views on religious belief & the necessity of works are consistent over time. Far from evidencing a hostility or apathy towards religious life, his views manifest a concern that belief evidence itself in the life of the individual, and that the virtues & vices of the individual are the basis for God's provision of rewards & punishments both in this life & the life to come. While Franklin's creed is not expressly Christian (and was not intended to be), it certainly is not incompatible with orthodox forms of Christianity. More to the point, his statement of belief should put to rest any talk of him not affirming a theistic belief system. Franklin's God is no absentee landlord, but is an active presence in the world, who not only creates but "governs the World" via divine Providence. 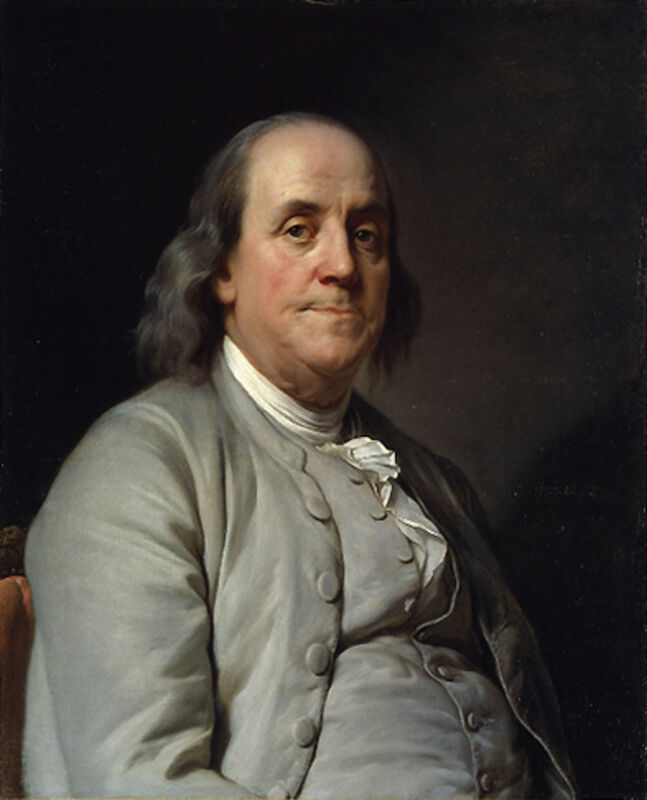 This God is worthy of worship -- including prayer and thanksgiving, indicating that Franklin believed that God acted in the lives of individual people, hence the benefit of asking God for help (through prayer) & thanking Him for His blessings. Most touchingly, Franklin insists on the importance of good works in human life. The best way to serve this God is through good works that serve our fellow human beings, and that the judgment of each person's immortal soul will be based on what he or she has done in this life. While not a churchgoer like George Washington, or a Hebrew scholar like James Madison, Franklin -- who attended no church regularly nor could read the biblical languages -- left a far clearer statement of faith than virtually any of the other Founders, Jefferson included. And it was a statement of faith that affirmed an active, providential Creator, a deity who would sit in judgment upon all human beings, rewarding and punishing them according to the deeds they did in this life. Whatever Franklin’s faith may have been, it wasn’t a faith in a watchmaker or absentee God. 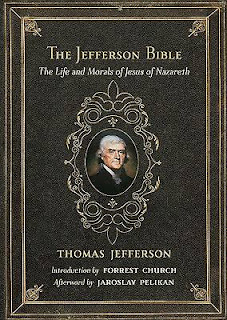 Look also at Thomas Jefferson's religious views as expressed in his Gospel harmony available widely online and in an edition published by Beacon Press in 1989 as The Jefferson Bible: The Life and Morals of Jesus of Nazareth. 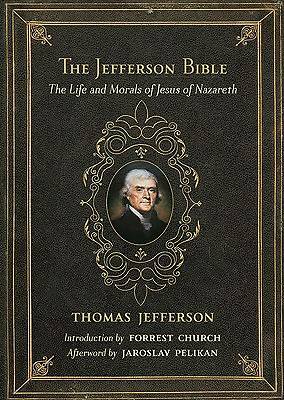 Two key points become clear upon reading Jefferson's version of the story of Jesus. First, while Jefferson removed the miraculous components from the early ministry of Jesus (no virgin birth, no resurrection, no signs and wonders), he kept the passages that deal with Christ's return to judge the living & the dead. Aside from this stunning piece of supernaturalism in Jefferson's work, Jefferson affirmed that human beings would in fact stand at a final judgment to answer for how they lived their lives. While Jefferson was a skeptic of the Resurrection of Christ, he affirmed the Second Coming. Second, Jefferson affirmed the power of the prayer, and of God's care for those to who petition him in prayer. This is evident in Jefferson's version of the teaching of Jesus regarding the Lord's Prayer, which Jefferson left intact in his Gospel harmony. Surprisingly, in this part of his work, Jefferson did not remove or edit the explicit references to both the Father & the Holy Spirit in the teachings of Jesus. As far as I can tell, this is the only passage in The Jefferson Bible that refers to the Holy Spirit, let alone the procession of the Holy Spirit from the Father. As Jefferson renders that critical passage: "If ye then, being evil, know how to give good gifts to your children: how much more shall your heavenly Father give the Holy Spirit to them that ask him?" Again, whatever Jefferson's faith may have been, those passages in his work indicate that he believed in a God who was considerably more active, responsive & involved that the word "deism" generally conveys. It is time to put the label "deist" away when referring to most of the American Founding Fathers. Historian Rick Perlstein recently turned up a gem from the November 3, 1978 issue of the Spokane Daily Chronicle (I assume it was syndicated) and linked to it on his Facebook page. 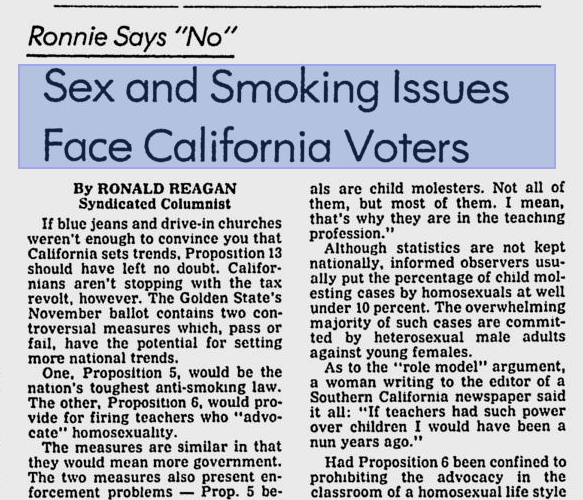 In this article Ronald Reagan, two years before he became President of the United States, opposed a California ban on smoking and a ban on teachers who advocate homosexuality. Liberals will use this article, as they should, to show that Reagan was more willing to defend the rights of homosexuals than many of the Republicans who claim his legacy today. Shall we file this in the Strange New Respect Department, where Republicans are only of value as cudgels against other Republicans? Reagan's opposition to the homosexuality part of the proposed law was against its broadness--the part that would be relevant to "many of the Republicans who claim his legacy today" was about a teacher using his position of trust to advocate homosexuality, which as Reagan notes, was already prohibited by law, thus making a broader statutory ban unnecessary and open to abuse in bringing in teachers' private lives into a legitimate public concern. 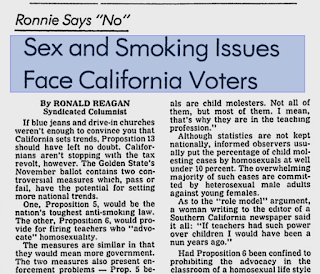 Now that advocacy of homosexuality is mandatory in California schools it's rather moot what Ronald Reagan thought of Proposition 6 in 1978, since the government has gone far past plausible neutrality or 'libertarianism' on the issue. As for smoking, Reagan was quite prescient about where government power would go with that too. The slippery slope he warned about is now reality. As for Donald Trump, I see little evidence he cares about these things one way or the other. On government intervention in the 'transsexualism' issue, he's on record as favoring leaving it to the states and leaving the federal government out of the whole thing, a position that most "Republicans who claim [Reagan's] legacy today" are obliged to honor, since it's also their federalism position on abortion and gay marriage. Yes, freedom from religion – from where else? "The eighteenth-century theories of the social contract have been exposed to much clumsy criticism in our time; in so far as they meant that there is at the back of all historic government an idea of content and co-operation, they were demonstrably right. But they really were wrong, in so far as they suggested that men had ever aimed at order or ethics directly by a conscious exchange of interests. Morality did not begin by one man saying to another, "I will not hit you if you do not hit me"; there is no trace of such a transaction. There is a trace of both men having said, "We must not hit each other in the holy place." They gained their morality by guarding their religion. They did not cultivate courage. They fought for the shrine, and found they had become courageous. They did not cultivate cleanliness. They purified themselves for the altar, and found that they were clean. 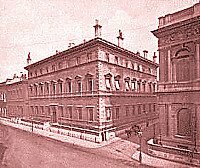 The history of the Jews is the only early document known to most Englishmen, and the facts can be judged sufficiently from that. The Ten Commandments which have been found substantially common to mankind were merely military commands; a code of regimental orders, issued to protect a certain ark across a certain desert. Anarchy was evil because it endangered the sanctity. And only when they made a holy day for God did they find they had made a holiday for men." 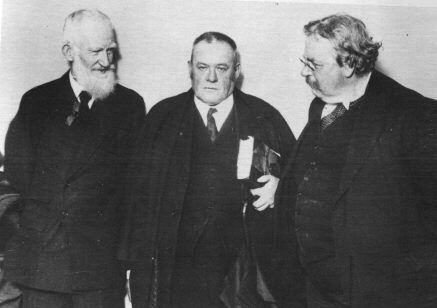 Gilbert K. Chesterton, Orthodoxy (1908). The Scientism cultist believes he loves science. Sadly, he only dimly understands science, so ironically, he tends to harm science by bringing unearned discredit to it. Science, which can only demonstrate things by observation and measurement in the physical world, can by definition only tell us so much about anything. Real scientists understand this completely. But the Scientism cultist does not understand this; he treats science like a divine force, the source of all truth and enlightenment, as well as miracles he only dimly undestands like iPhones and the Internet. I frequently meet people today who deny that "Scientism" exists as a religious philosophy. Then they'll turn around and make the most dogmatic assertions of faith you will ever hear in your life, such as "Science is how we know things are true" and "Science can be trusted unlike the dark superstitious beliefs of the past." The belief that science is how we know things are True (as opposed to one way we know some things to be true) is, ironically, unsupportable scientifically. When you point this out, Scientismists will then respond with "well, it's the best we have." Which they also offer, unironically, without scientific proof. That too is a dogmatic faith statement, you see. It's just like their faith that there's nothing running the laws of probability or physics. They simply believe things like that unquestioningly, and somehow experience no cognitive dissonance. Or at least pretend to have no cognitive dissonance. Probably the best reliable indicator of the Scientismist religion is the dogged fascination its adherents have with credentialed scientists. 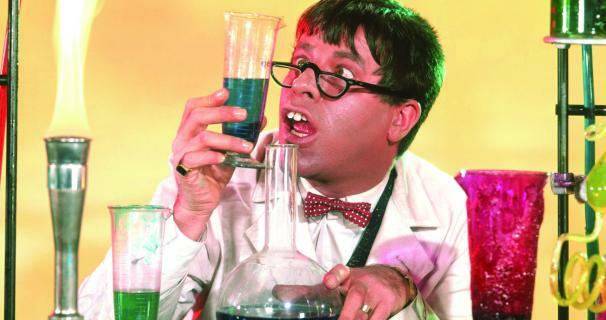 A Master's degree in some area of science appears to make you eligible for Deacon status in the Scientism Church, with a PhD entitling you to full priesthood. Bishop status is accorded by large research grants or at least a tenured faculty position in some area of the sciences. Or a big media presence at least. The laity of the Church of Scientism tends to look at scientists not as people doing research who sometimes finding useful or interesting results, but as moral and intellectual and even spiritual (they prefer the term "psychological") authorities the rest of us should listen to because, supposedly, the credentialed scientist is wiser or more moral or more trustworthy or more incorruptible than the rest of us. Especially if they have a high IQ, since supposedly the high IQ is the indicator of worthiness or at least wisdom as a human being. It's another unstated part of the Scientism creed, you see. One every Scientismist believes, though he rarely is bold enough to say it aloud. Scientism cultists also almost always claim that religion was primarily science's enemy for most of human history. This is the great Creation Myth of the Scientism religion. Unfortunately for them, it's pure superstition, a superstition utterly unsupportable by any scientific look at history. History does indeed show religious people getting in the way of science sometimes, but nonreligious people doing it as often if not moreso, as we see whenever there is a vested monetary or ideological interest in a scientific theory that may be bunk. In the meantime, it remains that for thousands of years, it was ancient organized religion and philosophy that spurred most interest in, and funding for, the development of education and science. Rulers were busy fighting each other; it was the religious and philosophical who were off "wasting time" doing odd things like figuring out how the laws of physics actually worked. Meanwhile, in the land of actual science, institutional science is in a shambles. At this point, with any given scientific paper, you can basically flip a coin as to whether or not it's got anything valid or is total garbage. Literally, following scientific literature is now about as good as following astrologers, since research in too many areas of institutional science is no longer reliable at all. But what have the Scientismists been doing the last couple of decades, instead of cleaning house? Terrifying the public with fears of the "Creation Science" fringe loons, and against the horrifying danger that someone, somewhere might take a homeopathic remedy and feel a positive effect*. While they were chasing down theological clowns and fringe medicine, institutional science was, and still is, falling apart at the seams. As someone who's loved science his whole life and still does, it's hard not to curse the Scientism cultists for being a big part of the problem. They put something they call "Science" where God and humility were supposed to go, to be blunt. As a result, they did massive harm to people's ability to trust science at all, by turning it into an intolerant, money and status-obsessed cult. For those who doubt Scientism is real, or doubt what I'm saying about the increasing shambles the sciences are in, here are a few references from completely credible scientific sources. I'll probably add to them over time as more objections pop up and more comes to my attention. The crisis in the sciences is huge and escalating in the Western world, and the Scientism cultists are in deep denial. Apparently, their priority is to obsess over fringe ideas like Michael Behe's "Intelligent Design" theories or the thought that someone, somewhere, might be getting positive results with acupuncture, rather than to actually understand how science works, and why institutional science increasingly doesn't. American Academy for the Advancement of Science: What is Scientism? Clinical Chemistry journal: A Critique of the Hypothesis, and a Defense of the Question. 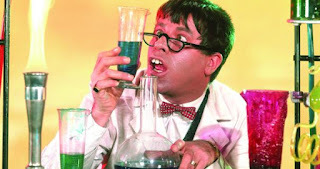 New Scientist: Why so much science research is flawed – and what to do about it. The Lancet: About half of medical science is total garbage at publication. Science (world's most prestitious science journal): Pretty much no reason to believe most psychological studies. Why trust science when scientists can't be trusted? Most published research findings are false. Why? Nature: C. Glenn Begley finds that about 90% of "landmark" cancer drug research is not reproducible. Nature: Brian Owens: About 80% of target-validation studies on cardiovascular medicine, women's health, and oncology are not reproducible. Monopolising Knowledge: A Refutation of Scientism, short talk by Professor Ian H. Hutchinson of MIT. Excellent YouTube lecture on Scientism and other religions by Professor Lawrence Princepe of Johns Hopkins. In her article White Fragility Robin DiAngelo uses the term habitus to describe the context that white people reside inhabit that explains their racism. She argues that whites are racists by default. In her work, she wants them to recognize they are racists and that they perpetuate a racist culture. Until they recognise they are racists they cannot address racism within the United States of America. Whiteness scholars define racism as encompassing economic, political, social, and cultural structures, actions, and beliefs that systematize and perpetuate an unequal distribution of privileges, resources and power between white people and people of color (Hilliard, 1992). This unequal distribution benefits whites and disadvantages people of color overall and as a group. Racism is not fluid in the U.S.; it does not flow back and forth, one day benefiting whites and another day (or even era) benefiting people of color. The direction of power between whites and people of color is historic, traditional, normalized, and deeply embedded in the fabric of U.S. society (Mills, 1999; Feagin, 2006). In particular, she wants to change whites’ habitus so they will understand they are racists as the first step to change America's racist society which exists by default and design. Her approach has three difficulties. The first is how a white person demonstrates they are no longer a racist since they cannot prove they have stopped being a racist. They remain racists as long as someone considers them a racist. Since all individuals who live within a racist system are enmeshed in its relations, this means that all are responsible for either perpetuating or transforming that system. However, although all individuals play a role in keeping the system active, the responsibility for change is not equally shared. White racism is ultimately a white problem and the burden for interrupting it belongs to white people. Even if they do not display any racist behaviour or support any racist ideology, they are racists by default. By this standard, a white person is unable to be anything but a racist for as long as they live. As long as someone says they are racist, no matter how unreasonable the claim, they are a racist since there is no objective standard by which to determine someone is or is not a racist. The accused cannot demonstrate any behaviour in the public domain, such as obeying the law or applying the law equally, that would allow them to defend themselves against the charge. In effect, the idea of political equality, which is necessary for the American community to survive, no longer exists. There are only supremacists and those that resist supremacists. In a strange reversal, a white person can only be cleared of being a supremacist if no one considers them to be a supremacist. The second problem is that the habitus is a totalitarian concept. The desire to change habitus is not to change the political context, it is to change the person. As such, habitus only exists in, through and because of the practices of actors and their interaction with each other and with the rest of their environment. The habitus, according to DiAngelo, is the individual’s creation as they interact with others. How whites' behaviour, their practices, create the white fragility. The white supremacist position is also one of fragility. However, leaving aside that inherent contradiction, the most powerful all-embracing ideology—the one that sets the whole moral, social, political context for every person and all institutions---is the most fragile, we have the problem of what is required to change the habitus. As Omar Lizardo explains that to change the habitus means to reject the person. The individual is rejected entirely and a new one created. Insofar as the habitus encompasses that which is most essentially a person's self, any rejection or transformation of the things that we do as second nature is in effect a rejection or a transformation of what a person “is" in the most fundamental sense. DiAngelo, like all totalitarians, will destroy the individual to remake them according the ideal standard. The individual, in this case every American who cannot demonstrate that they are not a racist, must be rejected and changed. Since all individuals who live within a racist system are enmeshed in its relations, this means that all are responsible for either perpetuating or transforming that system. Following from DiAngelo's argument, human nature, and by extension the political community, is completely malleable, without an intrinsic nature that is beyond manipulation. The person and community will be remade to meet DiAngelo's vision of racial justice as defined by the arbitrary opinion of someone’s feelings. No one else is to go through such a change. Society will not change; it is not enough to create equality before the law as the measure of success. Until all whites admit they are racists, reject who and what they were, they cannot be transformed into non-racists. They can only make this journey if they develop the racial stamina needed to discuss their racism and accept that they are white supremacists. In the above, we are reminded of Marx-influenced "false consciousness" theories. The whites have a false consciousness about political equality for the equality they propose is simply supremacy. DiAngelo knows this, because whites lack the racial stamina to admit and discuss their white supremacy. The more they deny that they are racists the more they show they need their habitus change. Like previous totalitarian regimes the individual’s intrinsic nature must be changed or manipulated until it serves the historical process. In this case, the historical process is racial equality as determined by the arbitrary opinion of any person of colour. So long as someone believes there are racists, there are racists. In effect, racism or anti-racism become the religion if not the god that determines how we are to live. We are to be remade until we fit that religion. More importantly, there is no idols like political equality, natural rights, wisdom that can be put before this jealous god who will determine the right way to live. All behaviour will be judged by the god of anti-racism. The third problem is in DiAngelo’s terms—she relies on terms that are from discredited eugenics thinking. The term "racial stamina" was used by eugenicists in the 1930s. The Japanese eugenicist Pan Guangdan said Han Chinese lacked racial stamina and the forced migration from the Japanese invasion would improve it. . These beliefs justified the Japanese cruelty against the Chinese. The Japanese engaged in barbarity that ranged from brutal torture to mass murder. Chinese inferiority was “confirmed” by eugenicist theories so as to justify any act against them. Totalitarian regimes rely on eugenicist beliefs because they want to control the individual completely so even their genetic structure can be manipulated to fit the state's design. The individual has no identity, no intrinsic worth, beyond what the state gives them. The regime will tell them what to think and to think otherwise will be punished. Nazi Germany was not interested in changing people they simply exterminated people for racial inferiority. Another eugenicist, Margaret Sanger, spoke of the racial stamina in her Plan for Peace. She explained that immigration must be kept limited lest it dilute the racial "stamina." Do we want to promote such ideas? Is this really what we want when we talk of racial equality in America? We will purify the American race of any racist thought, behaviour, or genetic basis? What is problematic for DiAngelo’s work is that it can be applied to any group. She wants to use it on Whites, yet it could apply to any ethnic group should they happen to display racist behaviours or beliefs. There is no reason, within DiAngelo’s work why racial stamina could not be used to require blacks to be re-educated or Jews, or any ethnic minority that does not conform to what the majority demand. In her vision, the minority only exists by what the majority decides. Any group will be re-educated about their racist thoughts and beliefs. In this she wants to destroy their habitus for she knows what the correct habitus must be. Yet, that correct habitus is based on the arbitrary decision of a group. There is no objective or reasonable standard for that group except the opinion that someone is a racist. We have already seen this approach and it ends with genocide. The Khmer Rouge used the same approach. They murdered their political opponents because they refused to accept and admit their thinking and beliefs were counter-revolutionary. In an effort to create a society without competition, in which people worked for the common good, the Khmer Rouge placed people in collective living arrangements — or communes — and enacted “re-education” programs to encourage the commune lifestyle. People were divided into categories that reflected the trust that the Khmer Rouge had for them; the most trustworthy were called “old citizens.” The pro-West and city dwellers began as “new citizens” and could move up to “deportees,” then “candidates” and finally “full rights citizens”; however, most citizens never moved up. Those who refused re-education were killed in the fields surrounding the commune or at the infamous prison camp Tuol Sleng Centre, known as S-21. Over four years, the Khmer Rouge killed more than 1.7 million people through work, starvation and torture. The victims had no way to prove they were innocent for the Khmer Rouge alone would decide who had the correct beliefs. No one had an objective or reasonable standard to decide. Unlike the United States, the Khmer Rouge did not believe that everyone was equal before the law. Only those with the correct ideology, those with the appropriate racial stamina, would avoid re-education. The totalitarian beliefs about the lack “racial stamina” ended with genocide. Yet, DiAngelo seems unaware of the term’s origins. If she is unaware of the historical context for her term “racial stamina” it betrays poor scholarship. If she is aware of the term, it suggests that she is comfortable with genocidal practices that follow from genocidal beliefs created by eugenicist theories. In her quest to create racial equality, DiAngelo would become a supremacist. She has the truth of racial equality, defined arbitrarily, and she will impose it. To resist her is to demonstrate a racist ideology and betrays white supremacist thinking. In this light, we have to question those who support this thinking and promote her work as explaining American politics: To quote her work uncritically suggests a dangerous superficiality of thought. We can see Jamelle Bouie is Slate’s chief political correspondent quote DiAngelo approvingly and uncritically. Bouie's superficiality is not surprising since he would find anything that fits his narrative appropriate. When the only criteria for success is conformity to the prevailing ideology and not the truth, then any idea, even one that suggests a totalitarian genocide, would be acceptable. What is only surprising is that those who benefit from America’s founding in equality, the great experiment in self-government, would betray it so that they could impose their arbitrary “equality” on those that refuse to accept that they are racists for they still believe in the idea of political equality. What DiAngelo never explores is why the supposedly all embracing racist practices are unstable. If everyone is born, bred, and educated into these practices it seems strange they would ever be questioned. Yet, the American founding is exactly that something that challenges these believes. The same Americans who argued that some men were not born booted and spurred to ride others by the grace of God were the same ones who promoted the idea of political equality as a founding principle. https://www.loc.gov/exhibits/jefferson/214.html one would be excused from believing that such ideas and thoughts simply did not exist or permeate the American experience based on DiAngelo’s work.